This will be the last post of my 2014 Las Vegas series (to read previous LV posts, please click here). And I save the best to the last. So I’m going to share with you my top 3 restaurants in Las Vegas. Get your notepad/evernote ready! If you are a big seafood lover and enjoy hot and spicy food, you certainly cannot miss Hot n Juicy Crawfish. 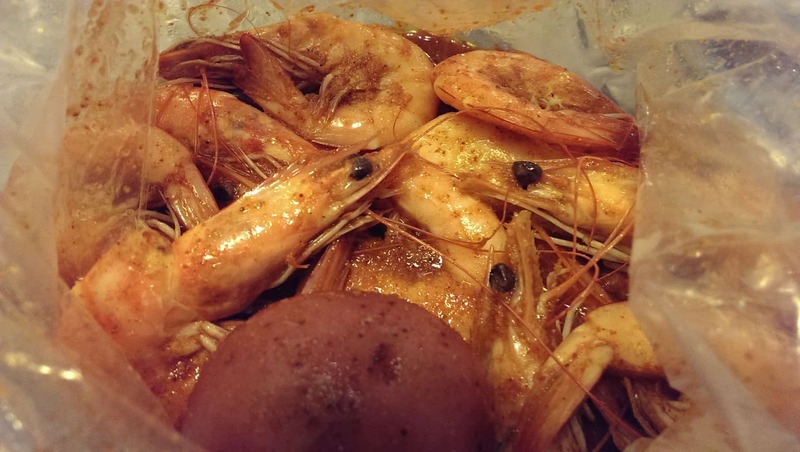 The restaurant is featured on “Man VS Food” for its hottest crawfish in the country and has made it on the Cooking Channel’s Unique Eats Restaurant list. Conveniently located in Chinatown, we found our way to the restaurant by taking Bus #203 from the Strip, got off at S Decatur Blvd, then walked back one block towards S. Frontier St. We were greeted instantly by wafts of garlicky goodness as soon as we stepped into the restaurant. 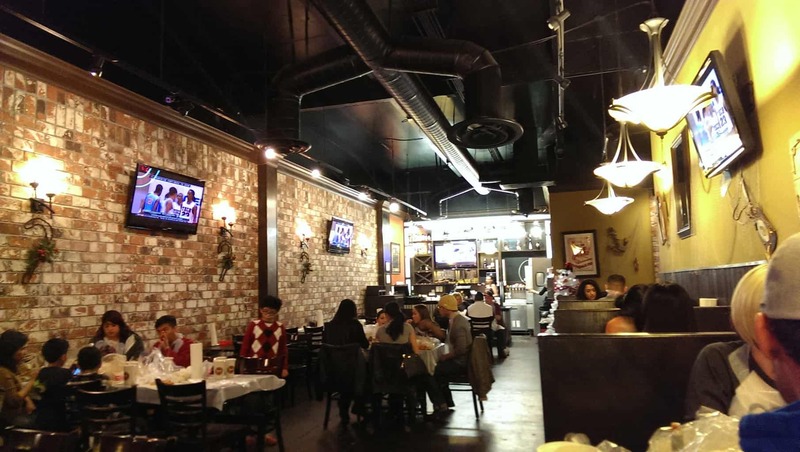 The warehouse-like restaurant has a relaxing and inviting atmosphere, with exposed red-brick wall on one side and nautical decorations hanging on the other side of the wall. 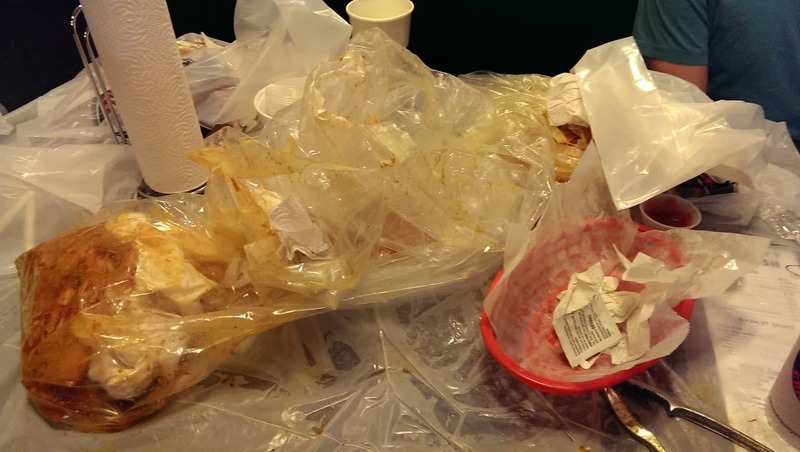 The waitress quickly sat us down at a table, which was perfectly covered in plastic with a whole roll of paper towel at our disposal. The menu is very short and straight to the point. 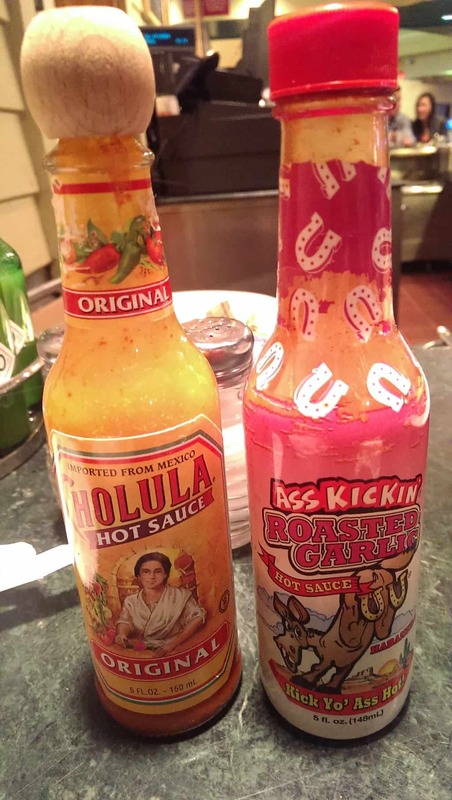 You pick a seasoning, a spice level, then select a choice of juicy “cravings” (i.e. lobsters, raw oysters, mussels, king crab legs, shrimp, clams, crawfish etc). 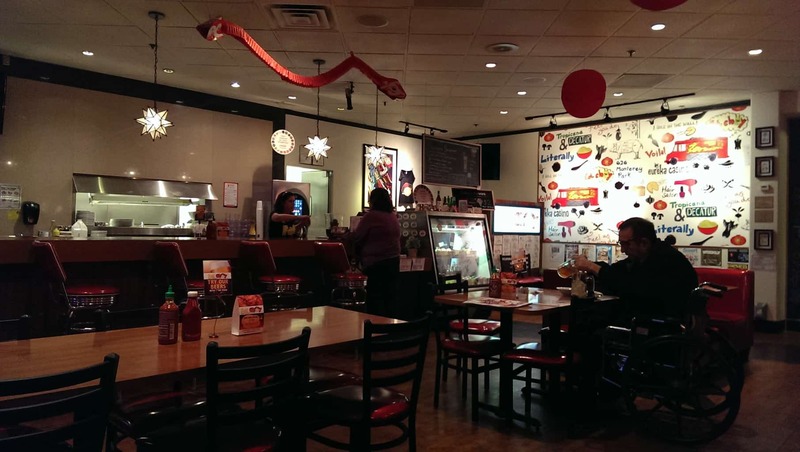 In addition, you can order extras, appetizers, or drinks to go with your meal. By just looking at the menu, my mouth was already watering. I wanted to order everything!! 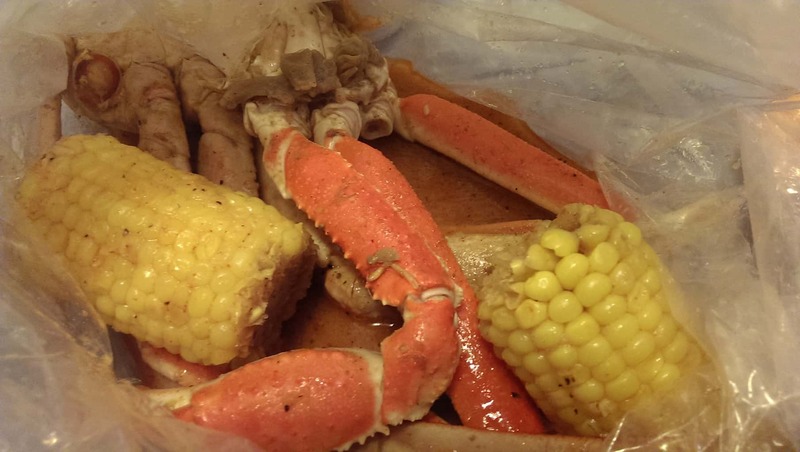 But both my stomach and wallet has a limit, so we settled with 1/2 pound of shrimp with hot n juicy seasoning at mild level, another 1/2 pound of shrimp with juicy cajun seasoning at medium level, and a pound of snow crab legs with lemon pepper seasoning at mild level. 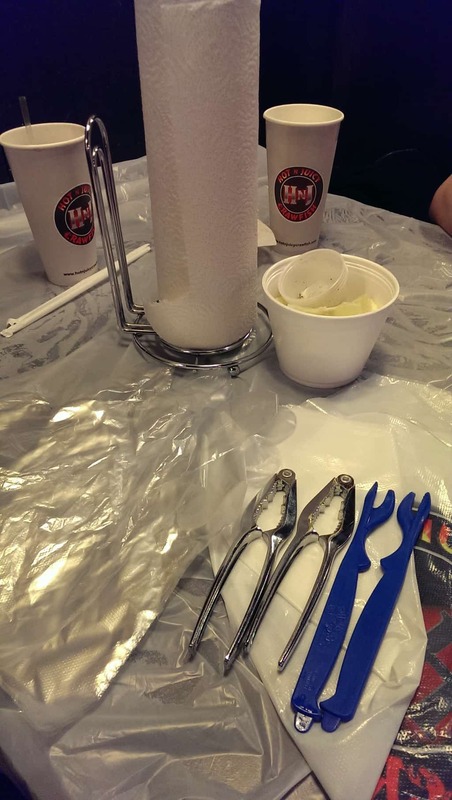 After taking our order, the waitress delivered the “tools” to us which includes plastic gloves, bibs, claw crackers, seafood picks and a cup with salt/pepper cups inside and some lemon halves. In case you are wondering, yes, we ate with our bare hands. No need to be pretentious with the fork and knife when it comes to eating seafood. The snow crab legs required a bit more time for us to work through the shell and get to the meat. But it’s all worth it because the meat was chunky, sweet, succulent. Simply amazing!! The lemon pepper seasoning was lighter and less spicy. This was the aftermath. Messy table, dirty hands, stinky clothes. But incredibly delectable! If you’ve followed my blog long enough, you would have noticed a trend. And that is I have not reviewed any Chinese restaurants outside Taiwan. I am just not a big fan of Chinese food. (Okay, when it comes to Taiwanese street food and famous eats, it is a different story) To get me try out a Chinese restaurant in North America, make sure it serves Asian American fusion cuisine- that will do the trick. The one restaurant that really impressed me up till now is Momofuku Ssam Bar in NYC. I still remember their phenomenal pork belly steamed buns. Fat Choy reminded me just that. On our last day in LV, Kev and I went out of our way to get our last meal at Fat Choy. 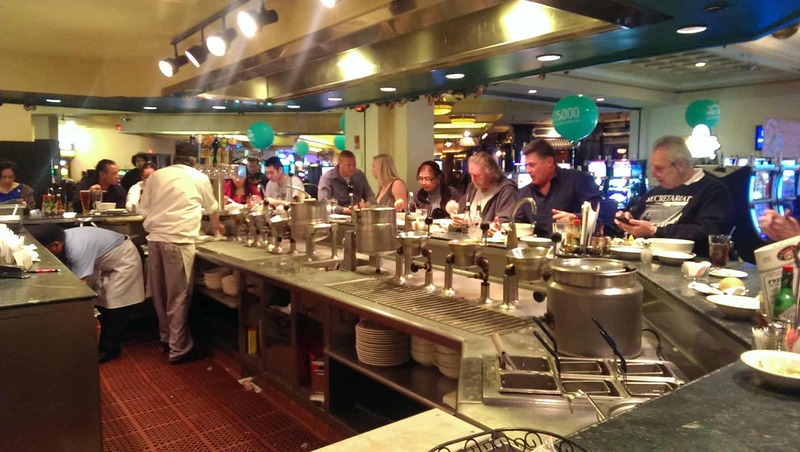 The restaurant is located on E Sahara Avenue, nestled inside the Eureka Casino. Given its odd location and the sketchy surrounding neighborhood, we didn’t keep our hopes up high. Unlike the dingy, smoky casino it was situated in, the restaurant itself was bright and clean. The Asian American fusion concept was well reflected in its design. 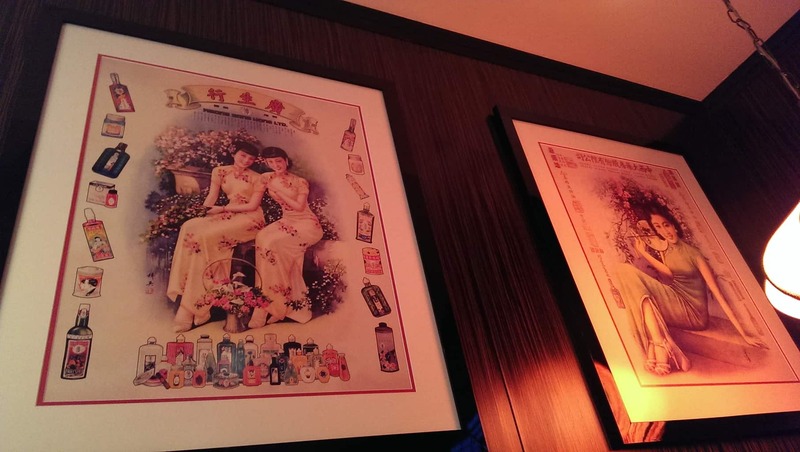 Don’t be surprised to find red Chinese lanterns hanging from the ceiling or old Chinese ad posters on the wall in this classic American diner. The menu features classic Asian dishes alongside American favorites. It would be a mistake not to try the signature “snacks”, the bao, which has been the fan favorite since Chef Su served them out of the Great Bao Food Truck. Bao is actually called ‘gua bao’ (刈包), which essentially is a flat, oval-shaped bun, folded in half and stuffed with fillings, such as slices of pork belly. 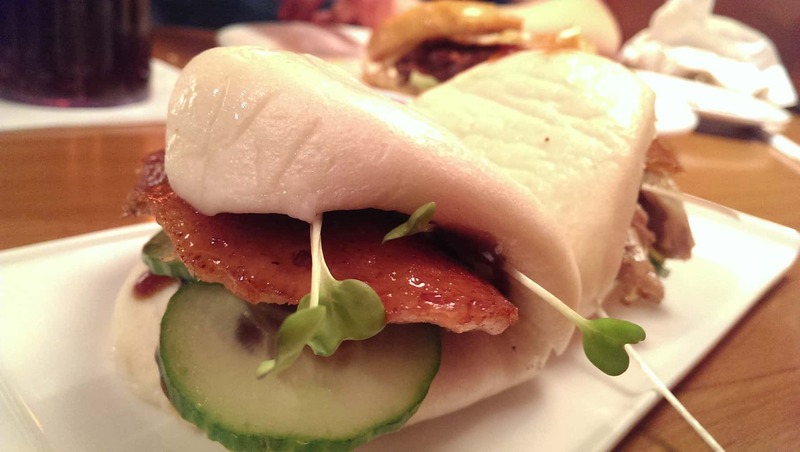 The two peking duck bao (USD$7) arrived with crispy tender duck, cucumbers, scallion and hoisin sauce slathered inside. Absolutely fabulous. 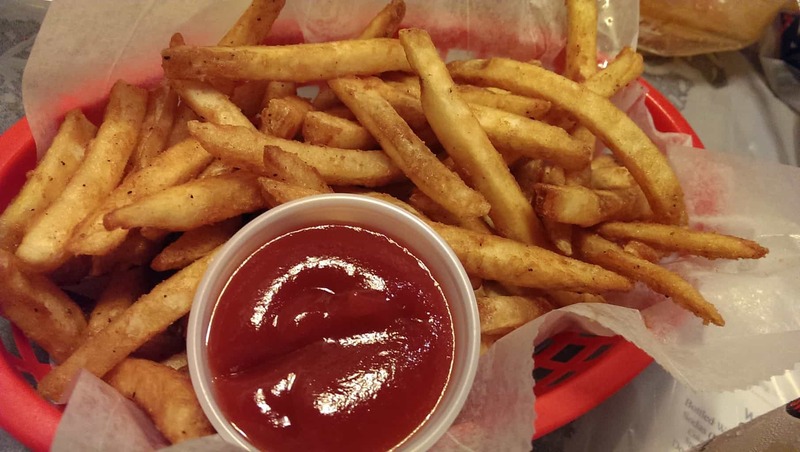 Tantalizing your taste buds with a perfect combo of sweet and salty flavors. 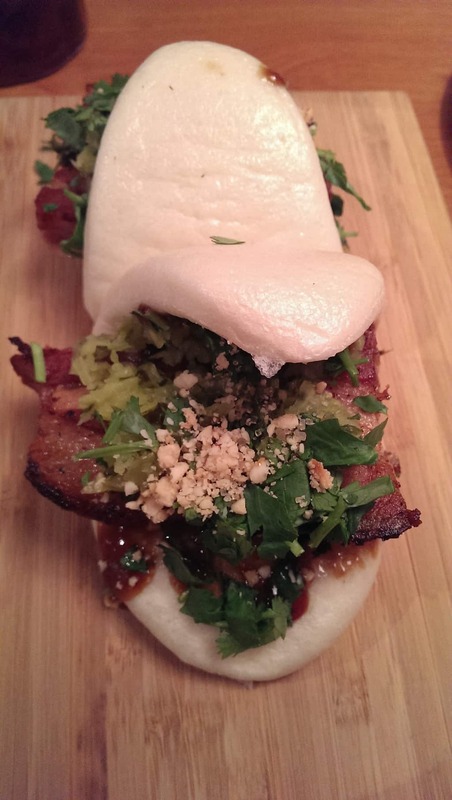 The pork belly bao (USD$7) tasted even more amazing. The soft, fluffy bun contained big chunks of pork belly. The pork belly was melt-in-your-mouth tender, somewhat fatty yet not greasy. The pickled mustard greens gave it a tangy flavor. To balance the fermented flavor, fresh cilantro and peanuts were added. Yum… It’s truly authentic. Kev opted for the Fat Choy burger (USD$10), which came with a 1/2 pound angus beef, braised short ribs, bacon, fried egg, cheddar and onion jam. 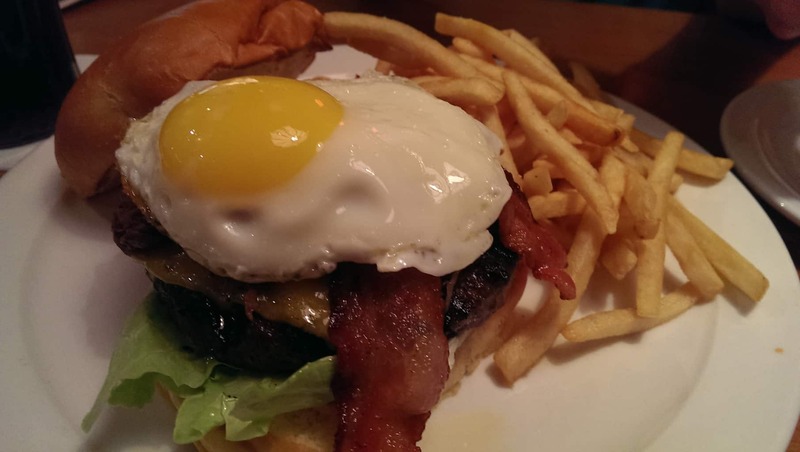 Poke the yolk and let the gooey richness dribble all over the burger. Together with the onion jam, it was such a splendid blend in taste. I would highly recommend to anyone who visits LV to give this a place a try. There’s nothing I would complain about this place. Friendly service, excellent food, fair price. Do I need to say more? They even have a coca-cola free-style machine, which allows you to create your own soft drink by mixing Coca-Cola branded products!! (It can dispense 146 different flavors. Kev had so much fun with it :P) Seriously, just come here. Fat Choy won’t disappoint you. While researching restaurants for our LV trip, “Oyster Bar” continually popped up, citing as one of the top restaurants on numerous travel sites and food blogs. Since we were in LV for a week, I definitely could not leave the city without paying it a visit. I dragged Kev out one afternoon, took the bus and headed towards Palace Station Casino. A piece of advice- don’t ever take the bus there. Either drive or take the cab. It looks relatively close to the Strip on the map, but buses don’t run very often on that route (60 minutes apart). It is also quite a walk from the bus stop to the casino. Trust me, you will rather spend the money and save yourself some trouble. When we finally made our way to Palace Station (which is a little deserted), Kev asked me “Are you sure the restaurant is inside this place? It better be worth it.” Yes it is, but don’t judge a book by its cover. 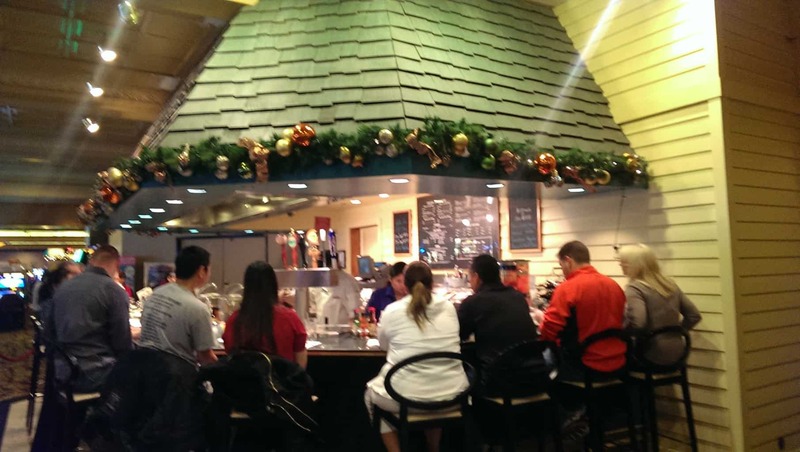 The Oyster Bar is situated in the middle of the casino, with a small bar counter that can hold about 18 people max. Despite the fact that it opens 24/7, 7 days weeks, it is so popular that rarely could you find an empty seat. And guess what? No reservations. We purposely arrived for an early dinner so that we didn’t have to wait long. The counter was already fully occupied but we were lucky to be the first in line. So where is the kitchen? It is right in front of the bar counter, where everything is made right before your eyes. There’s usually only one chef on duty taking care of everyone’s order. With only 6 steam pots available at a given time, you can imagine how busy he is and why the long wait. Thanks to the chef, we weren’t bored at all. He chatted with us a little and taught us how to tell if raw oysters are bad while shucking them at the station. Finally, our food arrived! 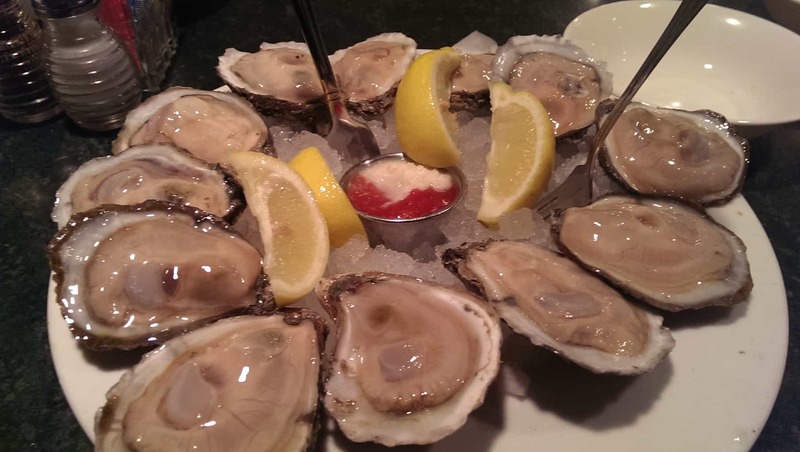 Here’s our dozen of raw oysters (USD$18.99). Look at those big, fresh, glistening oysters! Topped each with a little lemon juice, grated horseradish and cocktail sauce- oh so delicious, juicy and slurpy-fresh!! Ready for another heavenly goodness? Let me introduce the combo pan roast (USD$21.99), which is made with shrimp, crab and lobster, sauteed with brandy, cream, tomato and herbs & spices. The chef knew we were sharing so he gave us two small bowls of steamed rice. This gigantic bowl of pan roast was beyond the bomb diggity!!! 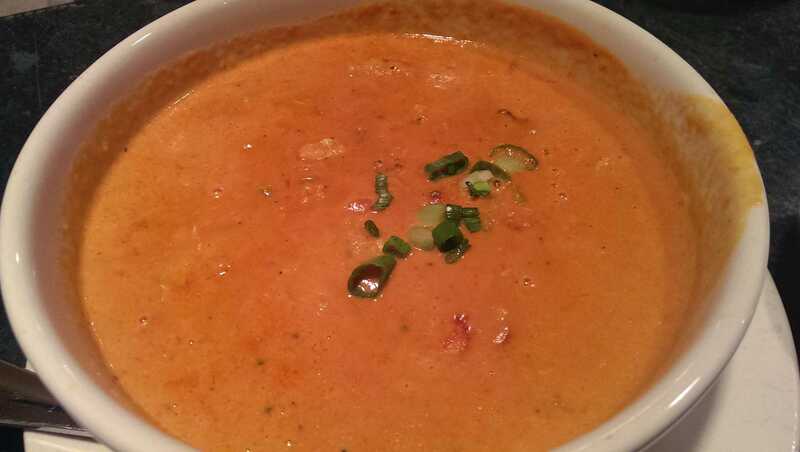 So thick, creamy, flavorful, soulful. We almost licked the bowl clean. What an exquisitely delicious comfort food! We were both so full and satisfied. 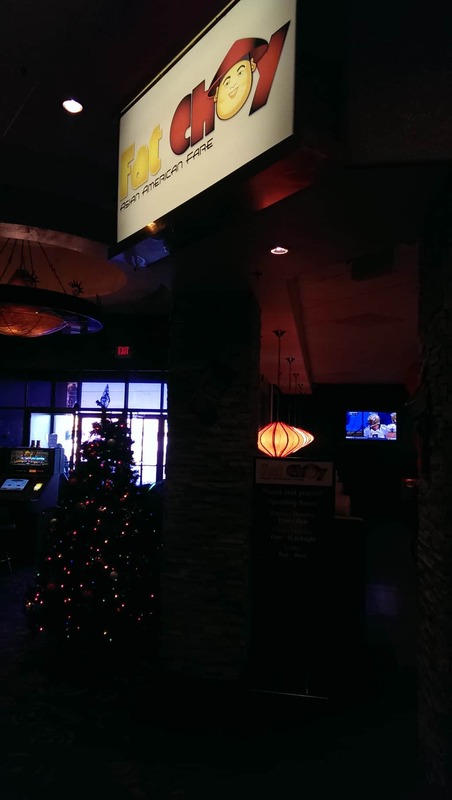 Without question, it is the best restaurant we tried in Las Vegas. Fun chef and amazing food that is reasonably priced. Who would say no to that? It’s totally worth the wait. We will definitely come back for more!! Loved your review! As a Las Vegan, I drop into Fat Choy’s often as it is only blocks from my home. Keep eating, keep traveling!